I’m Ruby, the Rochester Bride! As a newlywed of the Rochester area, I love sharing my knowledge of the wedding experience with newly engaged couples. This week I can’t wait to share with you some tips and pointers about choosing your wedding dress! 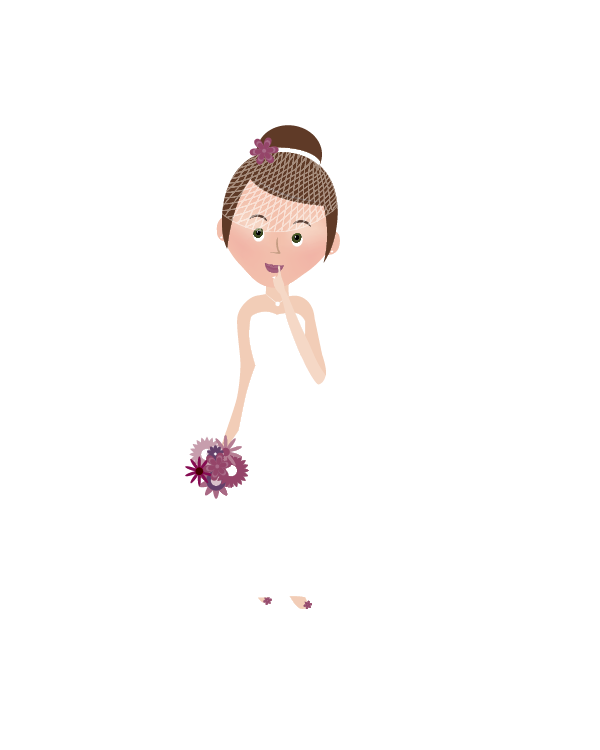 Look for your wedding gown as soon as possible. You want to allow yourself plenty of time to make this decision. Most dresses take about 4 to 6 months to order. The gown may then need to be altered and/or fitted properly. Start familiarizing yourself with the latest styles of wedding gowns. If you find a style you like in a magazine make sure to bring it with you to the bridal shop. They may have that particular style or a similar one you can try on. Make an appointment to try on gowns with a reputable bridal shop ahead of time so the sales person can spend time with you. Try on various styles to see what looks and feels best on you. The various fabrics include silk, satin, cotton, velvet, chiffon, taffeta, rayon, a polyester-blend, nylon, lace, and linen. Hand finished, natural, or imported fabrics are usually of higher quality and higher price. The fabric you choose will most likely be dictated by your personal taste and the time of year you are getting married. Fall and winter weddings, for example, usually have heavier fabrics (satin, rich taffetas, velvet). Spring and summer weddings usually have lighter fabrics (lace, chiffon, satin). The choice is yours. Wedding gowns can range from a few hundred dollars to several thousand dollars. Therefore it is important for you to understand your budget. Your budget should include the cost of your gown and accessories (headpiece, veil, jewelry, stockings, shoes...). Most bridal shops require a down payment to order your gown. Make sure you understand their exchange and cancellation policies, what measures they will take if the gown comes in the wrong color or size, what the alterations fees are and what they cover. Lastly, get a receipt that includes the style and color of the gown, the total cost of your gown, and accessories, things that were promised to you, the deposit you paid, and the date the gown will be delivered to the shop. This can help avoid any misunderstandings. It is important to check the quality and details of your gown (buttons, seams, zippers, pearls, lace, sequins). Quality also plays a factor in the price. Some gown manufacturers, for example, glue on the sequins, pearls, and lace. These gowns tend to be less expensive than those that were sewn on by hand. If you would like to design a unique wedding gown or you just cannot find the gown you like, consider having one custom made. Before you commit to having a gown custom made, try on various styles and fabrics. You want to make sure the style you have chosen meets your expectations. Allow at least 6 months for the time to make the dress and to have fittings and/or alterations. Choose a dressmaker who specializes in creating wedding gowns and provide them with pictures of similar style gowns you like. Next ask to see previous samples and ask for references. Lastly, get everything in writing so there are no misunderstandings (total cost of fabric, lace, pearls - cost of labor, deadline, deposit, cancellation policy). You probably will have two to four fittings, depending upon the dress you have chosen. Schedule your first fitting about two months prior to your wedding date. Bring similar undergarments (slip, bra...) and shoes that you will wear on your wedding day. This will avoid any miscalculations. Take a picture of your dress during your fitting, this may help you match your accessories.